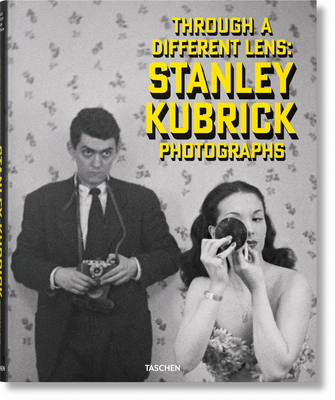 Before becoming the critically acclaimed filmmaker responsible for such iconic films as Dr. Strangelove and The Shining, Stanley Kubrick spent five years as a photographer for Look magazine. The Bronx native joined the staff in 1945, when he was only 17 years old, and shot humanist slice-of-life features that celebrate and expose New York City and its inhabitants.Through a Different Lens reveals the keen and evocative vision of a burgeoning creative genius in a range of feature stories and images, from everyday folk at the laundromat to a day in the life of a debutant, from a trip to the circus to Columbia University. Featuring around 300 images, many previously unseen, as well as rare Look magazine tear sheets, this release coincides with a major show at the Museum of the City of New York and includes an introduction by noted photography critic Luc Sante. These still photographs attest to Kubrick's innate talent for compelling storytelling, and serve as clear indicators of how this genius would soon transition to making some of the greatest movies of all time.